Happy New Year Everyone! As we say goodbye to 2012 and usher in the New Year, I've been reflecting on the past twelve months as I often do at this time of year. There are so many things that I'm thankful for that occurred in this past year but also some disappointments too, usually the result of lack of discipline or focus on my part. In December I started challenging myself in new ways to prepare for the New Year. For example, I took 6 straight days of yoga classes (something I have never done before) with hubby attending the last one with me. He usually does yoga at his own gym so it was nice to have him as my 'guest' and work out together side-by-side. I typically go to yoga twice per week but never back to back days. As my membership to my local studio was quickly about to expire it was the perfect time to prove to myself that I could push through even when I was tired and did not feel like going. I feel so much better when I exercise every day so that helped re-establish an important daily ritual for me in 2013. I encourage you to find something that you enjoy or even something new you've wanted to try and challenge yourself. Do you love running? Why not run every single day even if it's for 15 minutes, consistency is more important than distance. Maybe you're committing to better overall health this year including what you eat? Set aside the time to make homemade breakfast, lunch and dinner from scratch for a week and see how you feel! The smaller accomplishments always lead to bigger ones. For this reason I'm not a fan of typical 'New Year's Resolutions' as people always declare grandiose changes for the new year that they often cannot attain. Starting small and working your way to bigger challenges gives you a sense of fulfillment and accomplishment that will continue to propel you in a positive direction. Sometimes circumstances can bring us down and then we tend to associate those negative feelings with that particular year, deeming a certain year as good or bad as I've heard many people say about this past year. I try hard not to do that because our year or even this very day is what we make of it and out thoughts are the beginning of what we'll see come to fruition. In order to change our reality we need to change our thoughts. If we think it will be a bad year, it will. 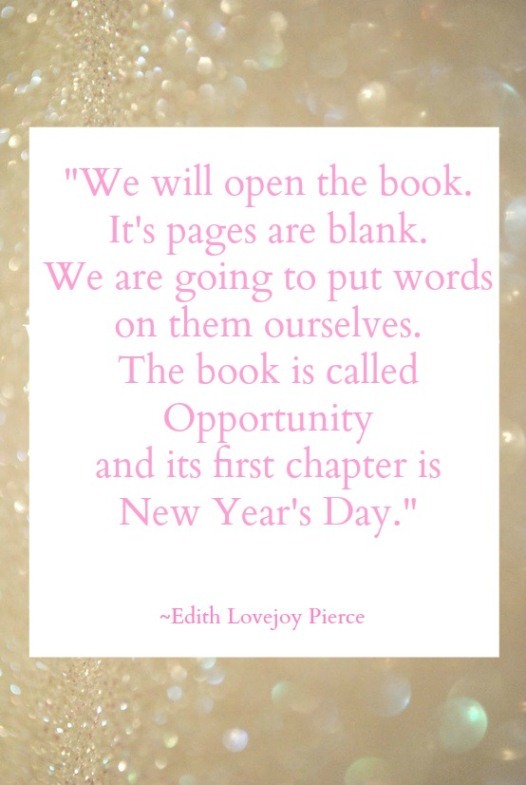 If we believe the new year holds great opportunities, it will! 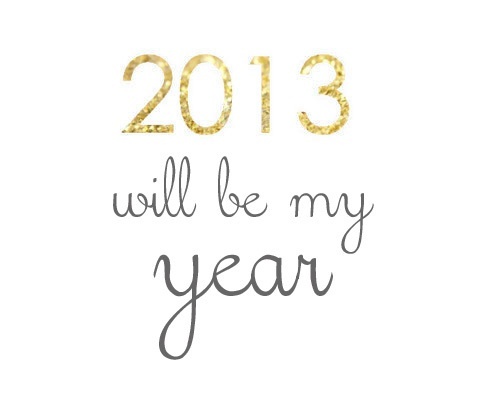 For the past few weeks I've really been feeling as though 2013 will be MY year! Maybe it sounds silly, but I've never felt this way before and I'm really excited about it! Good things have already begun happening and it's as if everything that I've been working towards will finally come together this year. If you feel the same, declare it for yourself! The past fears that have held me back from achieving all that I've dreamed for myself will no longer stand in my way. I have my eyes on the prize and I just know the next twelve months will be filled with unwavering focus, determination and hard work but anything worth having is work that kind of dedication. I have some exciting things that I've been working on and can't wait to share with you in the coming months! Each year, aside from business, financial, health/fitness and travel goals I'm looking to achieve, I also like to look at the areas of myself that I'd like to work on. Personal Growth is very important to me and there are some aspects of me that I need to polish. Without going into great detail, here are five of the specific areas I'd like to grow in this year. 1. Become a more patient person both with others and myself. 2. Stop pre-judging how an event or opportunity might play out and just go with the flow (in other words stop over-analyzing and enjoy the present moment). 3. Compare myself only with my past performance and not with others. After all, everyone's path is different. 4. Be more spontaneous! I'm a planner and this is always hard for me but one thing I know for sure is that my most joyful moments are when I'm doing something new, unexpected and spontaneous. 5. Add more discipline and structure into my life. One of the greatest things about being self-employed is that you can make your own schedule and often work from the comfort of your own home. While I've always been a disciplined and driven person, it's easy to fritter away time on projects that really aren't important sometimes, I think it's just the nature of working from a home office, or maybe it's just me. I have been lax in writing a daily schedule which makes it difficult to stay on track, but that's all about to change! Are you excited about 2013? What goals or personal growth areas are challenging yourself with this year? I'd love to hear what's important to you to make this your best year yet! Hi Lovelies, how are you doing? Are you managing through the busy holiday season? Hopefully you're enjoying some fun winter events with family and friends. It's been busy around here and I appreciate your patience as there has been a lack of posts over the past week. Hubby has just finished his last exam, and I just completed a few designs for new clients so we are set to begin our Christmas vacation tomorrow starting with a family dinner with my in-laws since we'll be spread out this Dec.25th. We're really excited to take a break, relax and spend some fun time together. First, I need to get through a mountain of a to-do list tonight and tomorrow. Wish me luck! With that said, I wanted to properly wish everyone a Merry Christmas & Happy Holidays wherever you may find yourself celebrating this year! Stay safe and I pray you'll be surrounded by those you love, taking in the joy and wonder of this lovely beautiful time of year. In the spirit of the 12 days of Christmas and with just twelve shopping days left until Christmas Eve, I am starting the first installment of a short series of fabulous gift ideas for the loved ones in your life! Which would you like to open on Christmas morning? 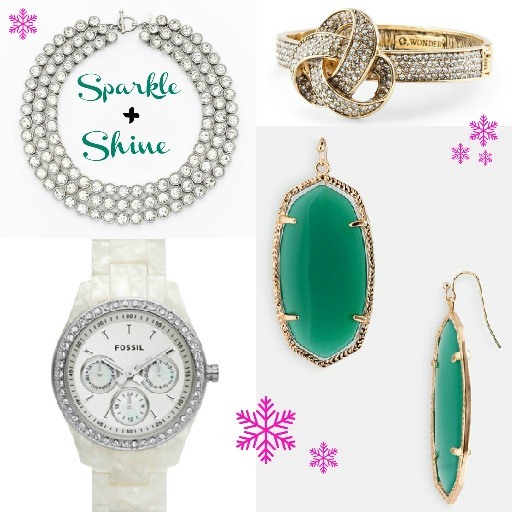 What unique gifts are you finding for the ladies in your life? I'd love to hear from you in the comments! Now that the holiday season is in full swing, you may have begun receiving invitations (both formal and casual) to spend Christmas Day with your extended family, for holiday parties and other events including New Year's Eve parties, etc. For some, the question of food and other invited guests come to mind, especially food if there are allergies or dietary restrictions but even so there is always an appropriate way to handle it. A perfect example of this is what my husband and I experienced just recently over Thanksgiving. Every year we get invited to spend Thanksgiving Day with my in-laws and we always bring a few dishes to contribute and lighten the burden on cooking. This year however, hubby's Aunt & Uncle invited us, they happen to live right around the corner which was nice as it made cooking and transporting food very easy for us. Over the past year Paul has made some dietary changes and is now mostly vegan but still indulges in some wild caught fish here and there. I'm much more flexible and always make exceptions for holiday meals but typically eat a mostly vegetarian diet 5 days per week and have a bit of fish, poultry or meat as well. We also both work hard to make sure that almost all of our produce is organic. We make these choices because optimal health is our goal. Upon getting the invite, my first thought was what hubby would eat? Knowing that his family really loves meat, poultry and southern style dishes. Since we live close by he and I discussed what we could do to prepare to make his meal enjoyable and still feel included at the same time while not making anyone else feel uncomfortable. One of the options was for him to eat a meal before we popped over so he wasn't starving. We knew we would make it work and most of all it was family time that we were most looking forward to so food was secondary. I replied and let his aunt know how much we appreciated the invitation and really looked forward to seeing everyone. Knowing what an undertaking it can be to host a large dinner, I offered to bring some dishes of her choosing. She was planning to provide the main course as well as the dessert and everyone attending was asked to bring 2 dishes to share and a list was provided. I volunteered to bring a few veggie dishes because we love healthy veggies and it would ensure that any veggies that hubby could eat would contain olive oil and not butter or any other dairy. His Aunt asked me at one point if Paul would be making an exception by eating turkey for Thanksgiving and I let her know that he would not be. Since she asked, I took the opportunity to let her know not wot worry or be at all concerned about him and that what I would be bringing would be perfect for him and everyone else. I wanted to put her mind at ease as a hostess already has many others things to consider. On Thanksgiving day I brought over roasted turnips & apples, roasted red beets as well as a mixed greens salad with my own homemade dressing and goat cheese on the side so that it would be suitable for those who cannot have dairy, and other could use the goat cheese on their salad as well as beets or as they wished. The meal was a huge success and there was such a lovely variety! Hubby ate a large share of veggies and salad but was careful to make sure everyone has some before he went back for seconds. It's more about being creative than about making others work around what will work for you. In the case of food allergies, if a close friend or family member is the host, they'll likely already be aware and be sure to get more details from you. Upon accepting the invitation, if it is a potluck you may want to bring a few of your own things so that you can customize them to your requirement. If it is not and the menu is fixed, you may have to bow out gracefully. Currently, I know of a couple friends right now who have family members that are not on good terms with another family member or sibling and it's making the planning of Christmas dinner difficult. While everyone has their reasons for not getting along with another person, it's so important as a classy woman to rise above and be the example. It's not always easy but sometimes one must tolerate others who they do not wish to be in the presence of. It shows great maturity and is so ladylike to put differences aside and just see the good in people and enjoy the company of everyone else. Sometimes people don't make great decisions or treat others poorly, but it's usually the very time when such people need love and kindness the most. What I know for sure is hurt people, hurt people and if we can remember that we can recognize that others are not always as we seem them on the outside, perhaps their anger or lashing out comes from a deeper place of heart and they really just need a friend. When it comes to providing an RSVP to an event, it's not appropriate to ask the host who will be attending in an attempt to avoid a particular individual or group of people. If you already know that a particular person has also been invited and you just cannot muster up the ability to make it pleasant experience, it's best to politely decline. I find people entertain less today than they used to. Many are just so busy with day to day activities that they cannot seem to make time for it. For some who like to run the show, it can be a lot of work not to mention a financial burden when hosting a larger party if it's not a potluck-style event and there is no delegation involved. For others, they just don't enjoy it. Entertaining is such a wonderful opportunity though to bring many people together and create wonderful memories. For these reasons as well as proper etiquette I think it is so important to respond properly to an invitation to encourage the very hosts who do enjoy entertaining to continue doing so and making it worth their while. When were are invited to an event or party, it should be considered an honor not something to dread and it is not the time to make our preferences known, the bottom line is that it should not be all about us. When we are invited into someone's home or to a particular venue, we are a guest to someone else's function. A good host knows that if the guest who is attending is not someone they know well, that they should ask about dietary needs and food allergies. If they have forgotten to do so, be a gracious guest when the event date comes and make the most of the experience. Have you ever experienced a demanding behavior upon inviting a guest to an event? Maybe you've been the invited guest who is unsure of how to respond given one the topics we discussed above? Please begin the conversation below in the comments, I'd love to hear from you! I hope you're enjoying this lovely season so far. I basked in the sunshine outdoors yesterday as we've experienced unseasonably warm temps here in Florida the past few weeks. However, today I'm nursing a head cold that came on last night with lots of hot tea, a box of tissues and some good reading material. :) I'm just glad it's not the flu and better now than during the Christmas holidays. I've been reflecting lately (as I always do at this time of year) about how commercialized things have become. There are many great festivals and church events in my city which I look forward to that bring a sense of tradition and warm feelings and yet at the same time you cannot turn on your TV in December without being 'sold to' and told what will bring your loved ones joy. I understand that retailers must make a profit to survive and this is the busiest time of year but it's so easy for many to get caught up in the gifts, and often competitiveness with how much was spent on whom and who has the best lights on the street or the prettiest Christmas tree. 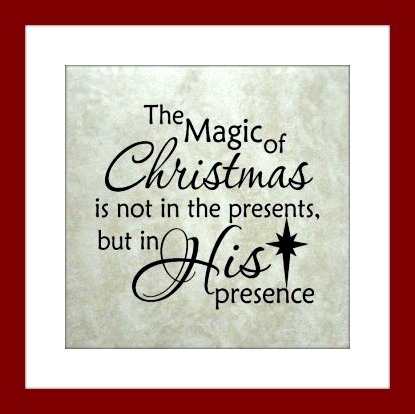 Sometimes our own busyness prevents us from experiencing the true joy and wonder of this season. On Friday afternoon I found myself rushing around to make sure all of my international Christmas cards got out on time including looking up a few addresses that I couldn't seem to track down with just minutes before I had to head to the post office. Hubby was trying to catch my attention and take a look at what I had written in some of the cards spread out on the kitchen table but I was telling him I didn't have time and that he could look at the next batch for our U.S. family and friends. Then he commented, "So, where's the joy?" My heart sank because I knew he was right. Sending our loved ones cards every year is something that I really enjoy from creating the card to writing personal messages in each one, somehow I had let my busyness and lack of organization ruin a nice moment. Still trying to meet my timeline, I apologized, kissed hubby and made my way to the car and when I began driving away a song came on that touched my heart called: 'The Heart of Christmas' by Matthew West. This was no coincidence. The local Christian radio station that I listen to plays Christmas music for the entire month of December and this was just the reminder I needed! If you've been feeling overwhelmed with all there is to do this month, are at odds with a family member or friend or maybe are stressed by not having as much financially as you would like to give this year, I want to share the same song with you as a reminder. 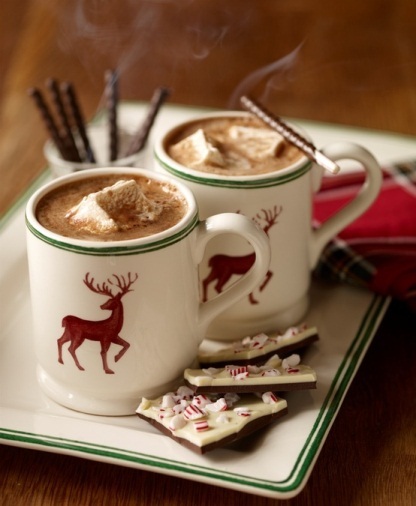 Speaking of positive messages, is anyone else loving all of the wonderful Hallmark movies this time of year? 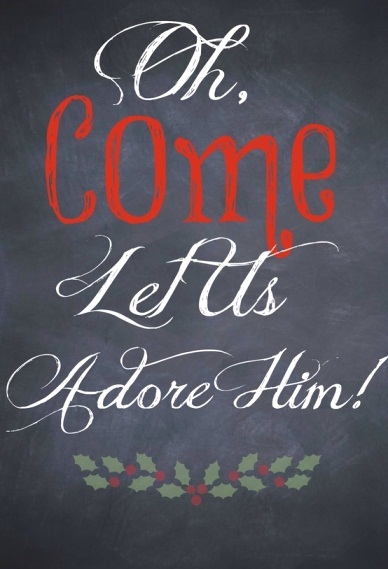 Have you had any moments that really spoke to you this season as you prepare for the holidays? Share the with us in the comments below. 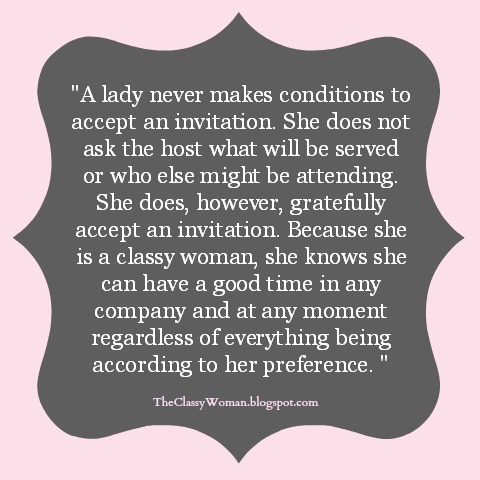 Today's post is a gentle reminder on what it means to be a classy woman. 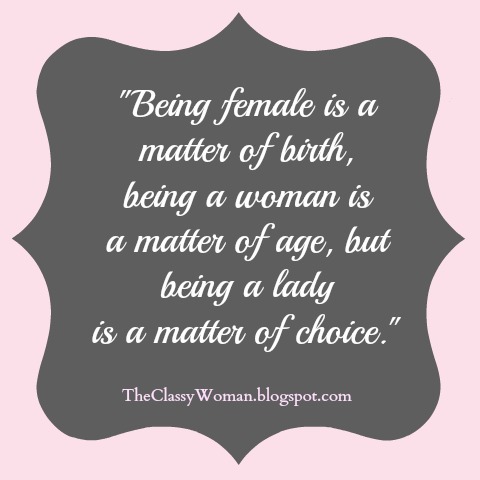 None of us are born ladies, we must choose our actions, words and behavior wisely every day. How we come across to others is our responsibility and it shows them a lot about the kind of woman we are. This does not mean that a classy woman is perfect or without mistakes, rather she reflects on her missteps and decides to do something different or better each day. This can begin with the thoughts in our head; the actions and words that are spoken as a result of the things we meditate on, the way we choose to present ourselves to the world in the way we dress or the way in which we treat others than can do absolutely nothing for us. There is something so special about a woman who knows what she wants but has a gentle and quiet spirit. What is one of the things you enjoy about being a lady? Hi Lovelies! I still cannot believe that December is already upon us! I hope you're all enjoying some decorating, baking and preparing for the holidays. 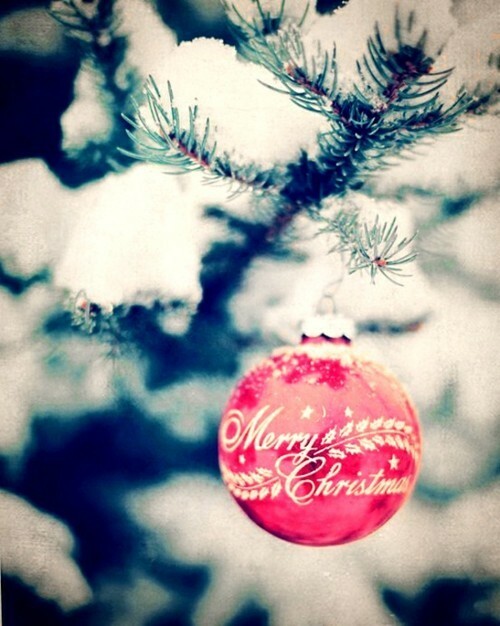 We now have just 3 weeks left until Christmas Eve! I wanted to resume our regularly schedule Manners Monday posts. As I mentioned in my previous Tipping Etiquette post, a Facebook reader (Amber Y.) asked if I could provide some insight on the topic as well as what the proper protocol and amounts are for tipping service workers during the holidays. 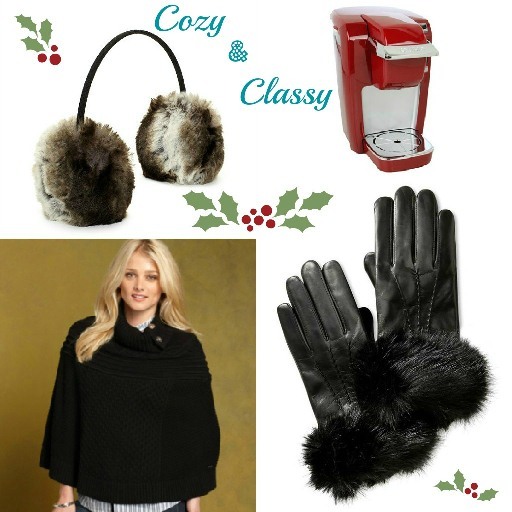 Whether you want to give your hair stylist a little extra something this Christmas to show your appreciation for making you even more beautiful or plan to provide a special treat for your mail carrier who never leaves your packages at the wrong house, here is a detailed list and some guidelines to consider as you decide how to thank the people in your life, if you'll be spending money and if so, how much you'd like to spend. 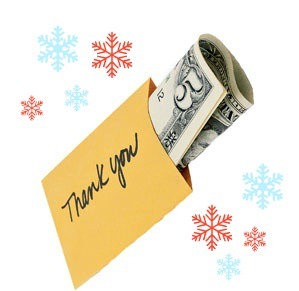 First and foremost, holiday thanking and tipping is a kind gesture and not an obligation, it's not something to be done if it will take you outside of your budget. If your holiday budget does not allow for tipping this year but you still want to do a little something extra, homemade gifts are a great option-sweet treats, bath salts or a beautiful knit scarf are presents from the heart that don't have to cost anything out of pocket to you except for a little time and your supplies on hand. No matter what gift or tip amount you choose, be sure to always include a handwritten note of appreciation of a few sentences. Some things to consider when tipping are how often you tip the service provider already, how often you receive the services provided, your relationship with the service provider, the length of time you've used the company's or individual's services and the location in which you live (tipping tends to be higher in large cities). Below, you'll find guidelines for 25 key service providers, what's appropriate to give and to whom. 1. Housekeeper/Maid-Up to the amount of one week's pay and/or a small gift. If you have an irregular scheduled service such as house cleaners that come only before a big holiday event or intermittently during busy times, you can tip at your discretion based on the size of your home and how extensive the cleaning is. 2. Beauty Salon Service Providers-The cost of one salon visit divided for each staff member who has provided service to you. Alternatively you could provide a small, meaningful gift to each person with a card sharing your gratitude. 3. Barber-A personal gift or the cost of one haircut would be appropriate for men who their hair cut regularly. 4. Personal Trainer- For trainers that you see weekly or multiple times per week and have built a relationship with, cash up to the cost of one session or a gift is acceptable for showing your thankfulness for helping keep you in shape. 5. Live-in Nanny or Au Pair-Since this person works closely with your family, a full week's pay along with a personal gift from your child/children is thoughtful. 6. Day Care Provider/Teacher- Whether a single individual or several staff members care for your children, provide either a gift or tip to each. A reasonable range is $25-50 per person. This same amount can also be given to teachers of young children in elementary school also. 7. Regular Babysitter- Cash is the best option in the amount of one evening's pay, you can also provide a gift from your child/children. 8. Live-in Help- Family cooks, butlers or housekeepers should be given one week (or if you're feeling extra generous) up to one month's pay as a cash tip. Like live in Nanny's a gift from you along with a personal note card is also a thoughtful addition. 9. Private Nurse- A thoughtful gift can be given by either the person being cared for or the one responsible for paying for the care. 10. Home Health Professionals- Be sure to check with the agency before providing gifts or tips, as each has a different policy. In the case that none are accepted, you may consider making a donation to the agency. If it is not against company policy, a thoughtful gift is most appropriate. 11. Nursing Home Employees- Since many staff will interact with and care for the person living in a nursing home, a shared gift makes a lot of sense. Be sure to check the company's policy on gifts beforehand. Flowers or a basket of food items are great options. 12. Dog Walker- Up to one week's pay or a gift, increase the amount or gift size if you have multiple dogs. 13. Pet Groomer- If the same person grooms your pet throughout the year, a gift or a cash tip up to the cost of one grooming session can be given. 14. Massage Therapist/Physical Therapist-The cost of one session or a gift can be provided if you see the same person all year. 15. Trash/Recycling Collectors-Be sure to check city regulations if you have municipal services. If you have a private service, $10-$20 can be given or a gift. 16. Yard Keeper/Gardener- Cash or a gift can be given to a regular service provider from $20-$40 for a regular sized yard. For sprawling properties with many detailed shrubs and hedge work, you may wish to provide more. 17. Handyman- Cash or gift can be given in the amount of half to a full hourly rate. Typically between $30-$60. 18. Pool Cleaner- A shared gift or a cash tip in the amount of one cleaning can be given and split among the cleaning crew. 19. Superintendent- A gift or $20-$75 can be given. 20. Doorman- Cash in the amount of $15-$60 can be given or $15 or more for each of several doormen or a gift for each. 21. Elevator Operator-A gift or cash in the range of $10-$40 for each individual. 22. Garage Attendants- A cash tip of $10-$25 or a small gift. 23. Newspaper Delivery Person-Cash in the range of $10-$25 or a gift of equivalent value. 24. Mail Carrier-In the U.S., the United States Postal Service workers are not permitted to receive any form of currency such as cash tips, checks, gift cards, etc. Small gifts up to $20 are acceptable such as travel mugs, hand warmers, small gift baskets or a box of chocolates, so long as they are not part of a meal. Outside of the U.S., be sure to find out what is legally acceptable. 25. Parcel Carrier/Package Deliverer-Again, no cash can be given as with mail carriers. 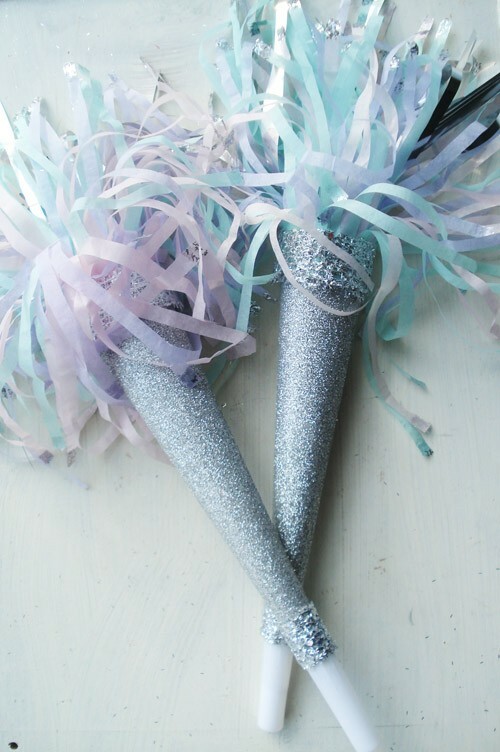 They may however receive a gift in the $20 range if you receive regular deliveries. While tips can be collected from December to the end of January, they make the most sense when given during the holiday season so anytime during the month of December is most acceptable and common. I hope you find this holiday tipping etiquette and guide helpful as you prepare your shopping list and gift budget for those who add to your life in a special way. Thanks for reading! There will be a lot more holiday and Christmas-related posts coming soon, I hope you'll check back in again soon. 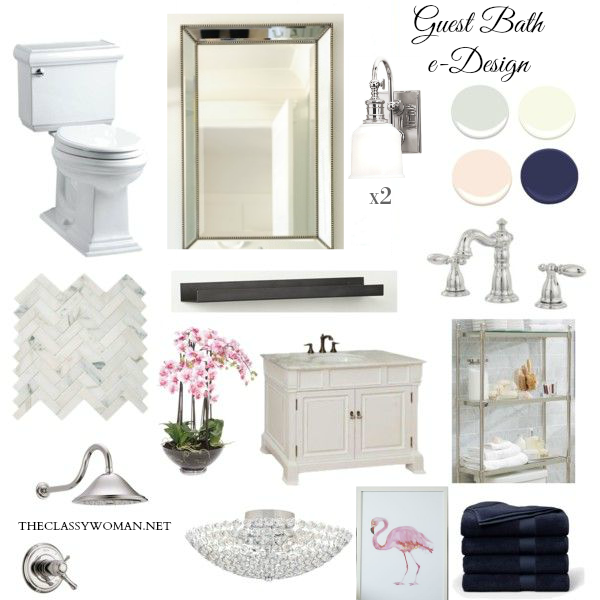 If you liked this guide, share it via Facebook, Tweet about it or Pin to Pinterest!